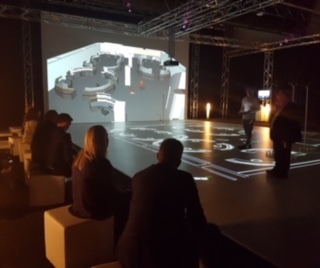 On the evening of 3 May 2018, Members and friends of the German Australian Business Council were immersed into the 3-D, interactive world of CADwalk. With 2 CADwalk’s already in Adelaide and Perth, the company recently grew its footprint to Munich, Germany. It was a very interesting and enjoyable evening. Opening with a presentation on cybersecurity and hackables by Robin Kroha of metafinaz informationssysteme, guests were brought up to date on risks and some ways of managing risks for our digital world. 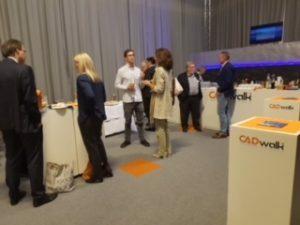 CADwalk CEO Gerhard ‘Kim’ Kimenkowski and colleague Tom Shopland then provided an overview of CADwalk’s international growth, and a hands-on (feet-in) demonstration of various industrial planning scenarios for its interactive command and control room design.